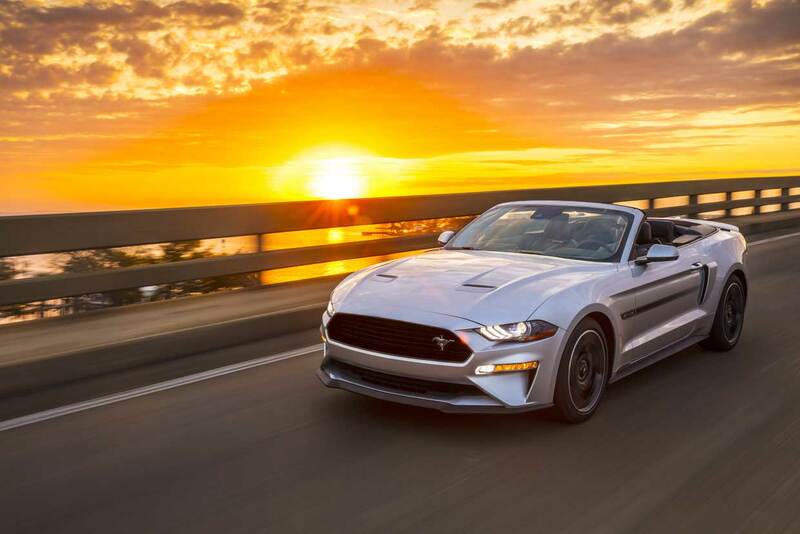 Ford has announced that its popular California Special Mustang is returning for the 2019 model year. As with all GT/CS cars throughout the years, it’s an appearance package. 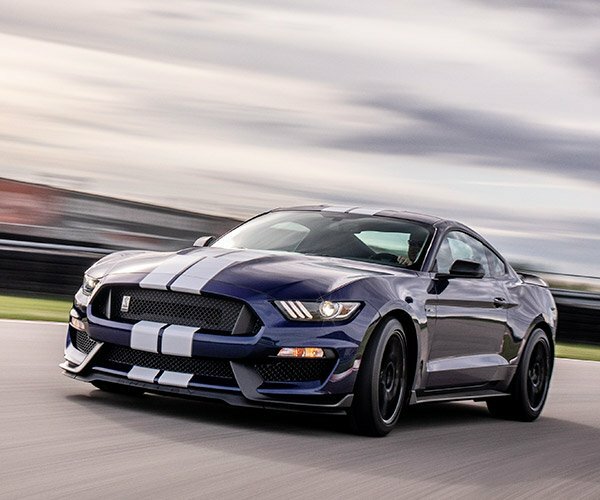 Inspired by the original 1967 Shelby GT California Special, the car gets a black grille and racing stripes on its sides. There’s a splitter from the Performance Pack 1 on the front, air intakes on the rear fenders, and special machine-painted 5-spoke wheels. 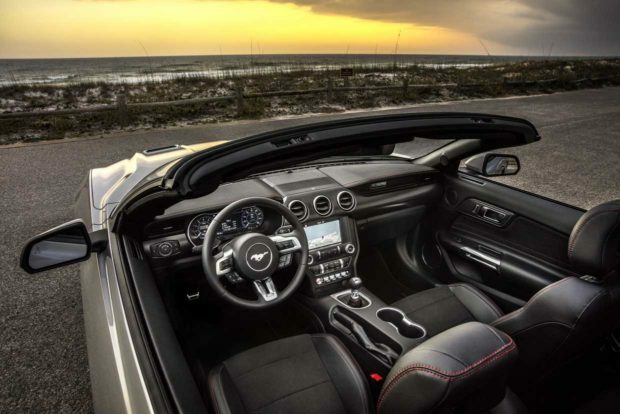 Inside, the Mustang gets black Miko suede-trimmed seats with red stitching and special GT/CS embroidery on the seats and floor mats. 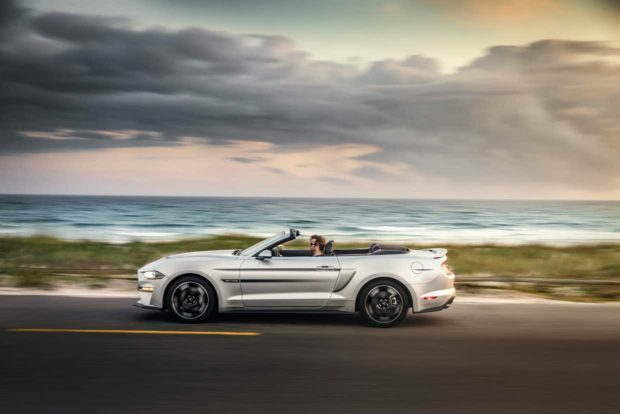 Being a Mustang GT, the car comes with a 5.0-liter V8 that makes 460 hp and 420 lb-ft. of torque. 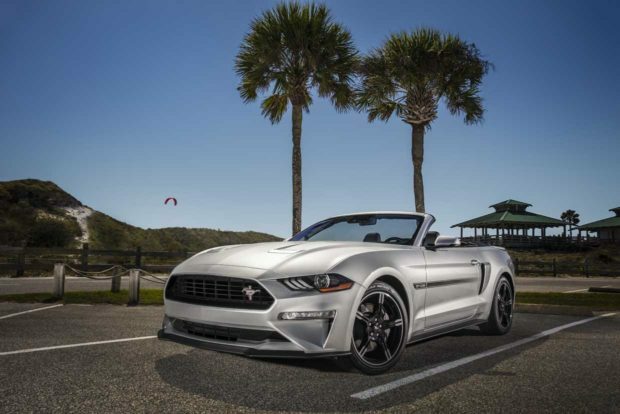 Ford is also talking up other 2019 Mustang features such as the rev-match shifting for 6-speed manual cars with the available Performance Pack. That feature eliminates the need for drivers to learn to heel-toe shift. There are also new colors for the line, including Velocity Blue and Need for Green. EcoBoost buyers also get the active exhaust that GT buyers got last year. Also, a 12-speaker B&O Play 1000W audio system is new this year. 2019 Mustangs will land this summer.